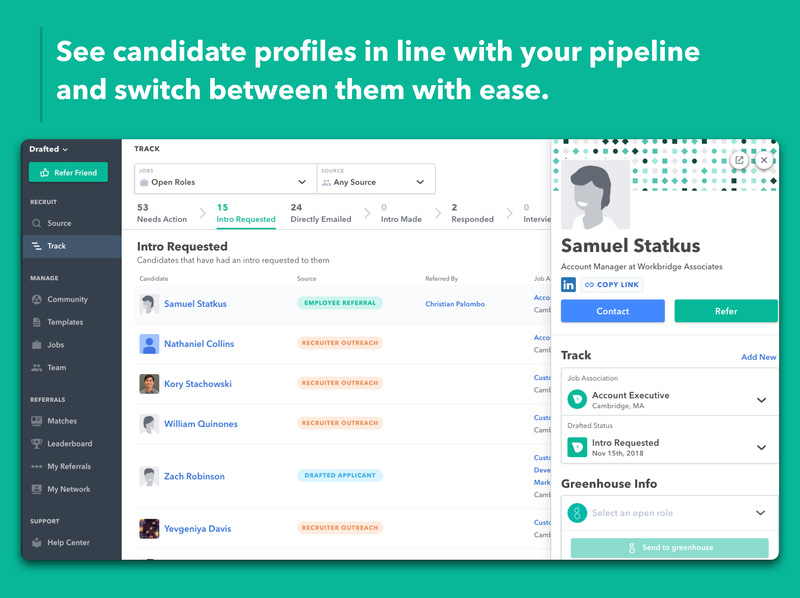 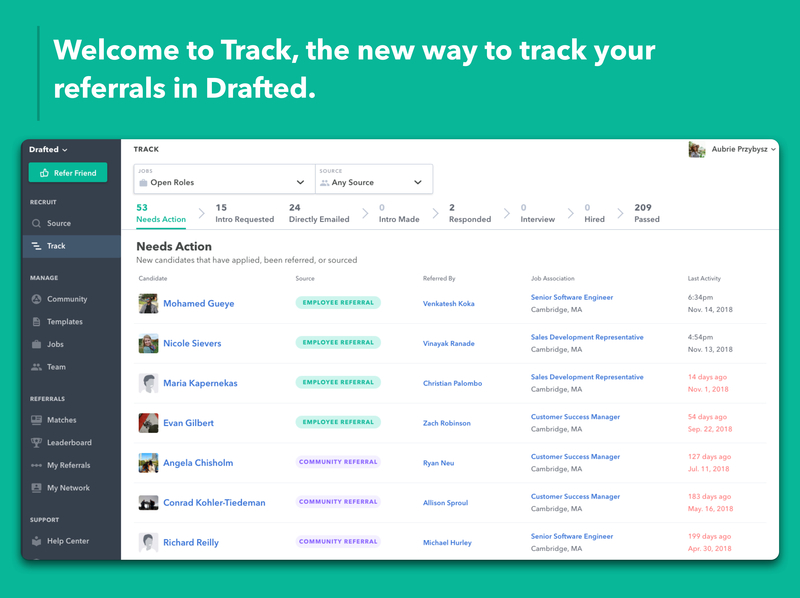 Tracking your candidates in Drafted just got a lot easier with Drafted's pipeline feature, Track. 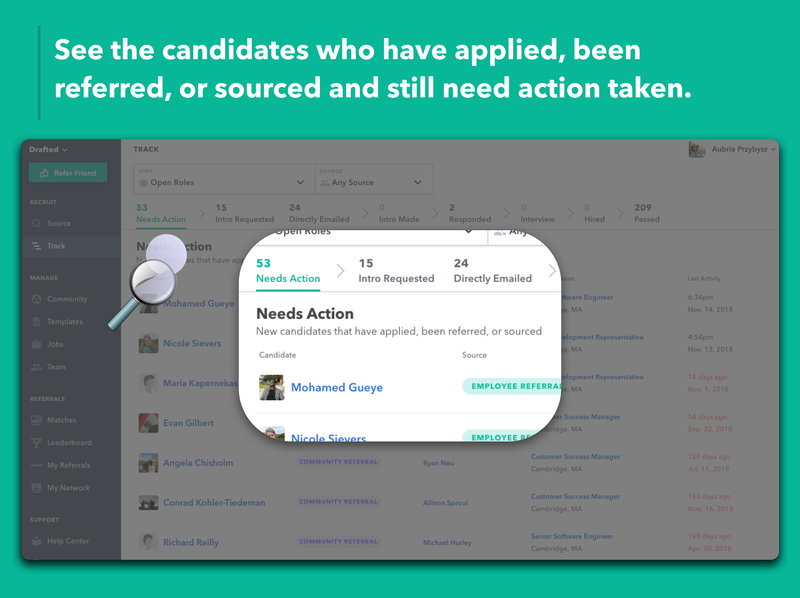 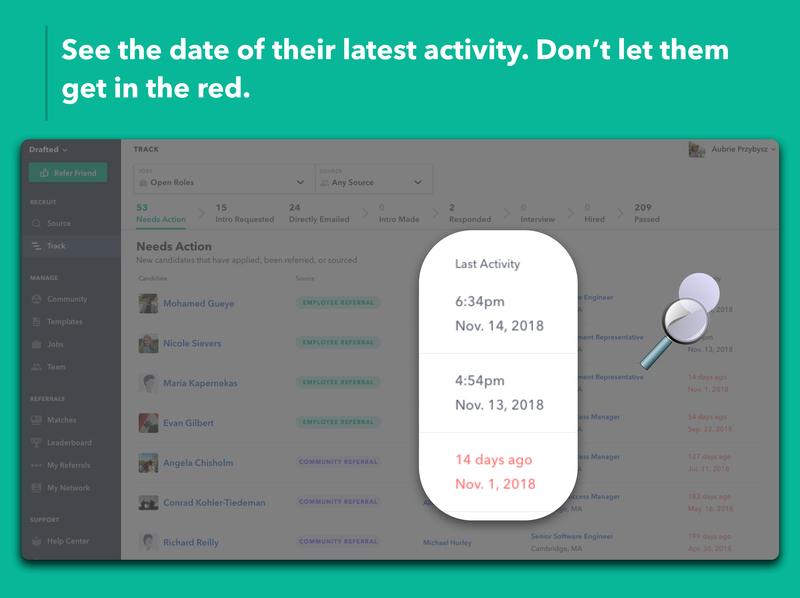 You can see all of your candidates that need action (people who applied or were referred) when viewing all open roles. 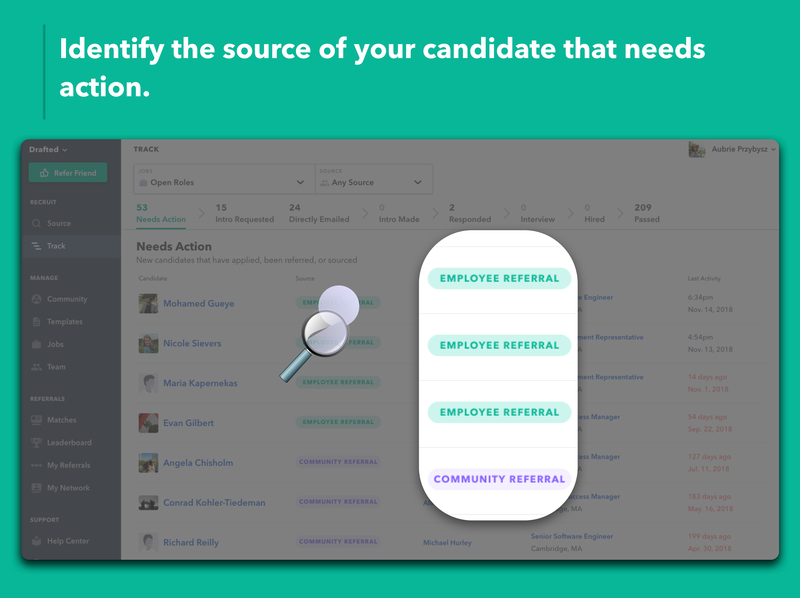 Change your view to be job specific by changing the dropdown selection.